And Reduce Your Risk Exposure While You’re At It. Stop underwriting with a one-size-fits-all approach. Custom risk scoring and risk score can save you time and money. 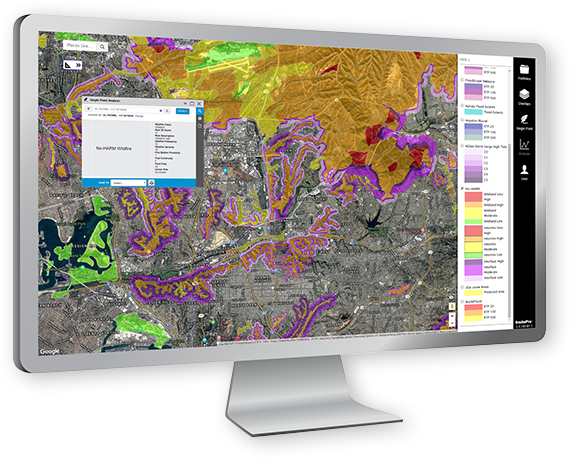 Reliable natural hazard risk analytics start with unparalleled terrain data. Resolution doesn’t tell the whole story. InsitePro terrain data has superior accuracy. It’s not enough to simply know where the flood zone is. Detailed elevation data and terrain knowledge provides critical insight into which properties will sustain damage … and which will not. Recognizing the difference gives underwriters the ability to expand portfolios and reduce risk exposure. 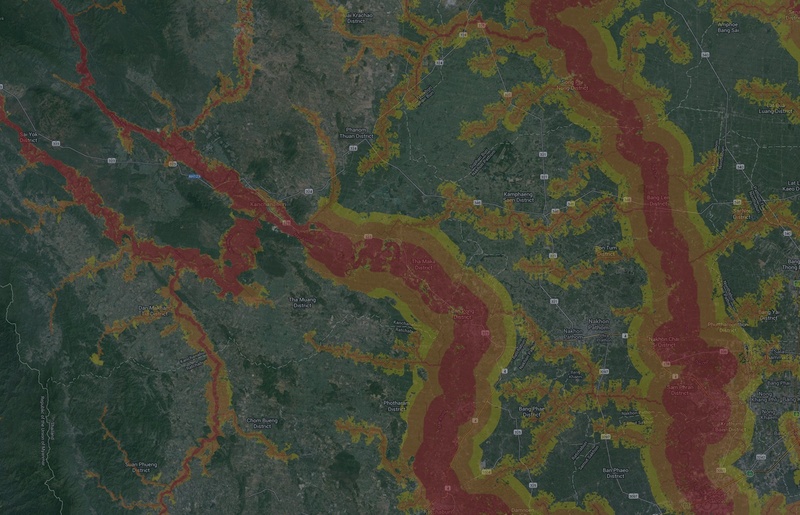 Our interactive elevation tool enables terrain profiling that clearly shows the shape of the ground at a specific location, indicating how and where water will flow – and which areas will flood first. Wildfire behavior is a lot less random than many people think. We know. That’s why Intermap has partnered with AnchorPoint to incorporate their National Hazard and Risk Model (No-HARM) into InsitePro, an insurance underwriting tool. This model incorporates knowledge of the physical terrain (slope, aspect, elevation) with specific fuel types and climatological information to predict potential fire behavior, including fireline intensity and ember ignition zones. 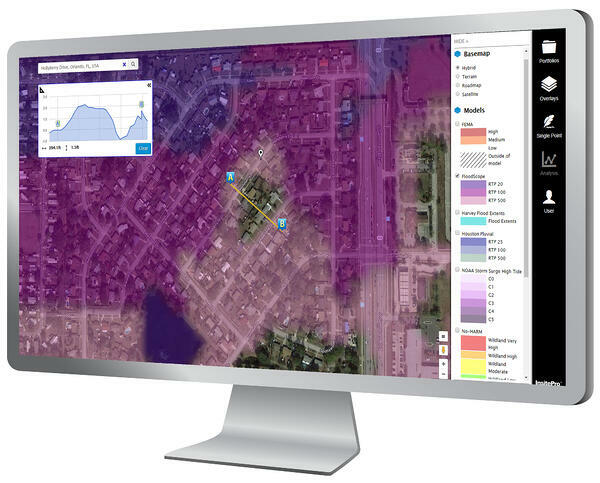 With InsitePro, underwriters can assess wildfire risk with a consistent nationwide hazard dataset that expresses the probability and negative effects of wildfire from regional to building-level scales.